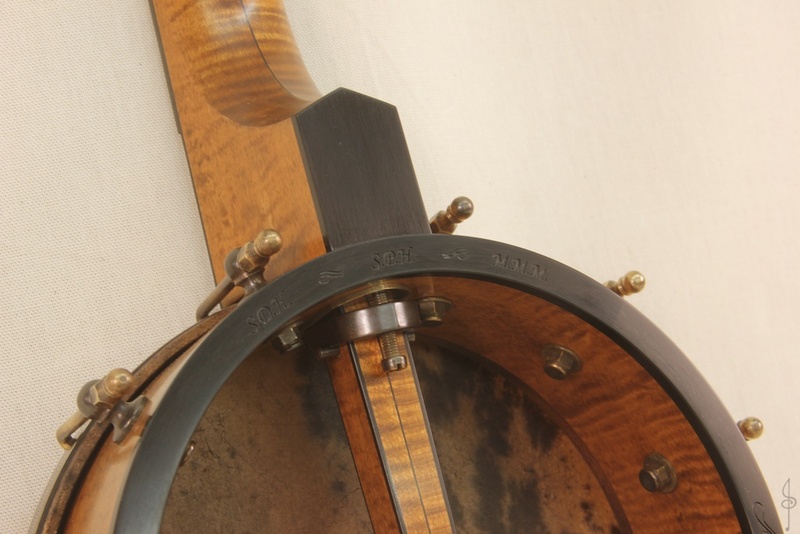 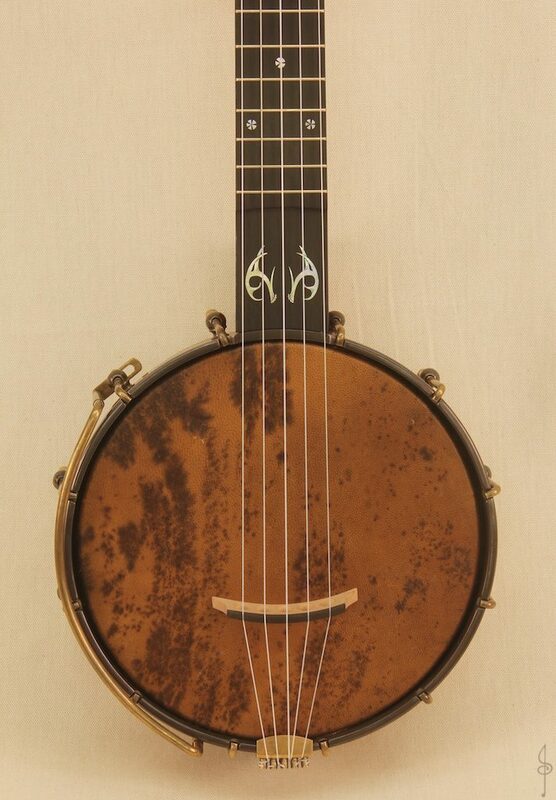 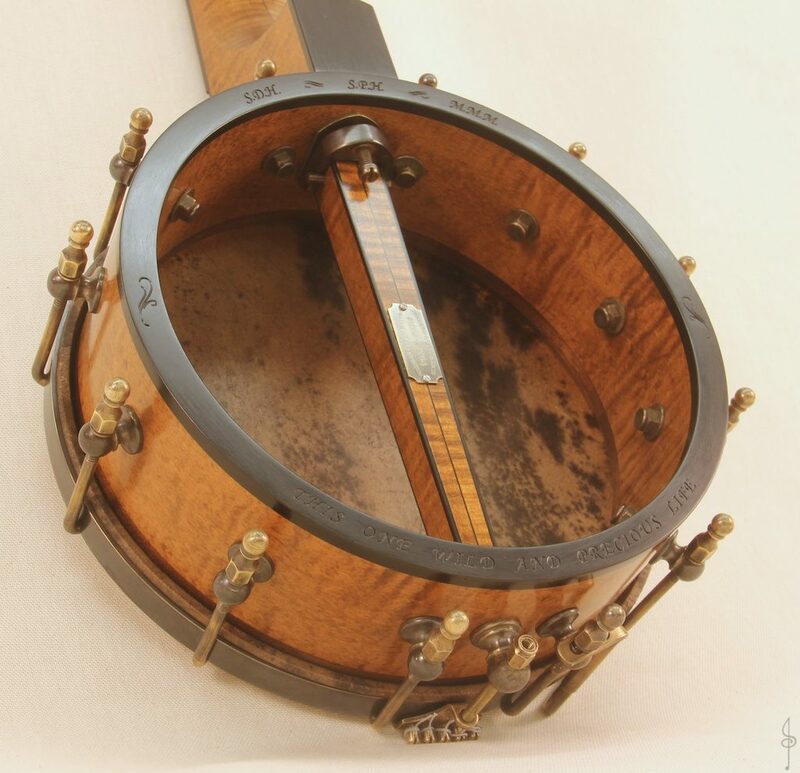 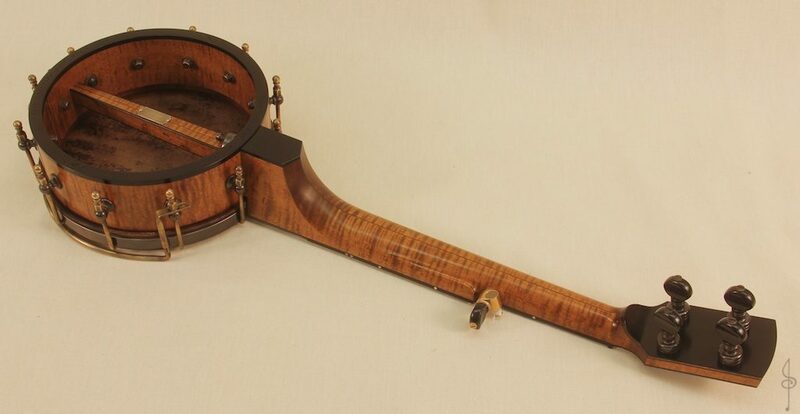 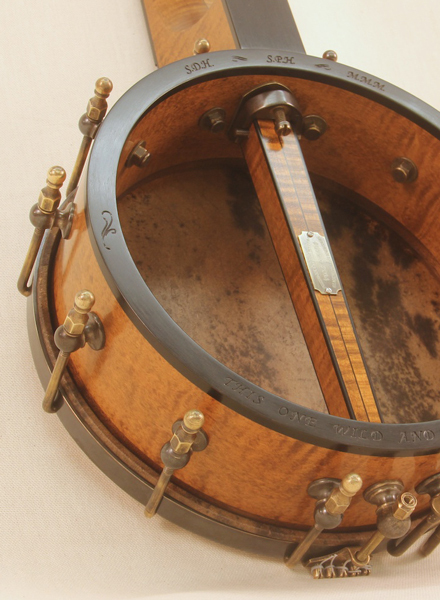 A Curly Maple and Ebony Piccolo banjo with engraved mother of pearl inlays and engraved rim cap. 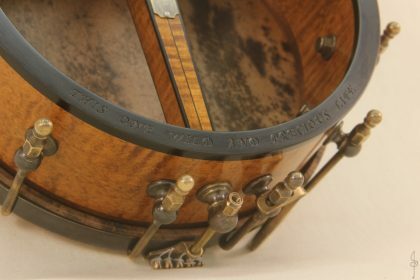 The rim cap is engraved with the owner’s family’s initials as well as a quote from the Mary Oliver poem ‘The Summer Day’. 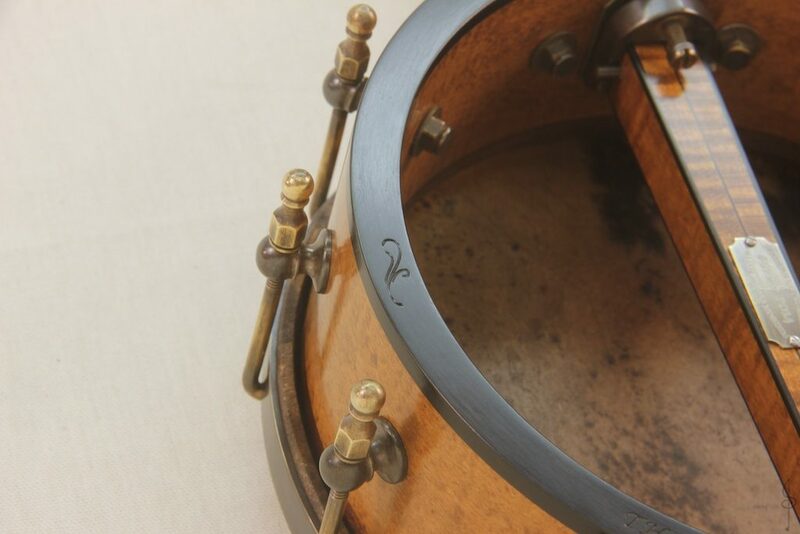 We used the inlay design from Seeders Banjo #012 as well as the volute detail and bound dowel stick from Seeders Banjo #015. 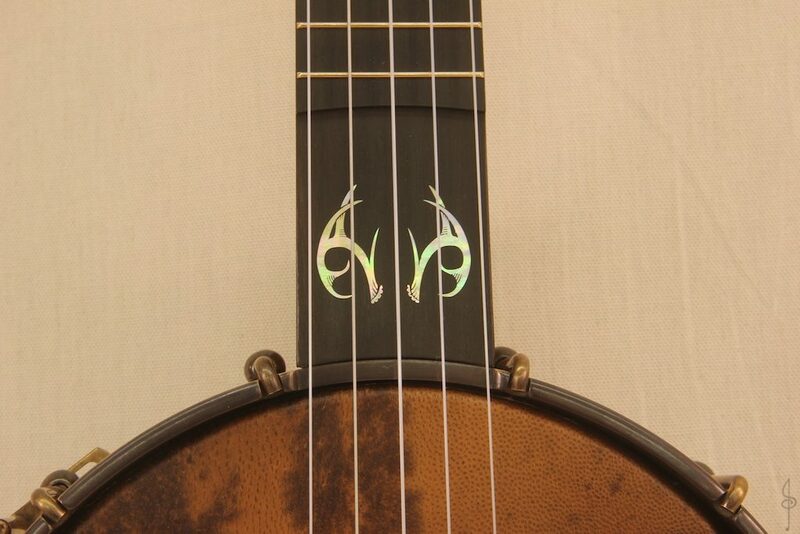 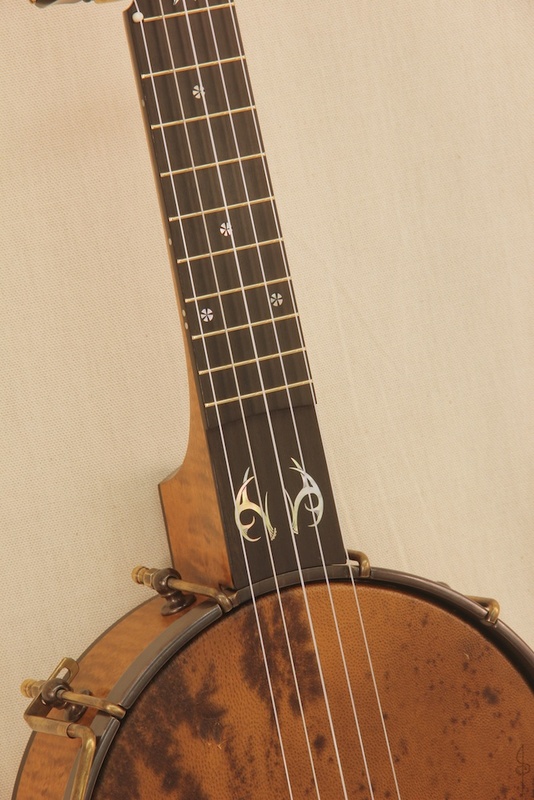 The fifth string neck carving was inspired by the work of Lee Sproull of Alabama.